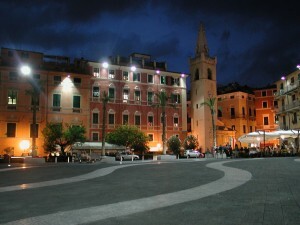 Two important roman roads starts just from Lerici: one, that links the village to Sarzana, while the other runs from Lerici to Tellaro in an evocative route along olive-trees and a beautiful mediterranean vegetation. 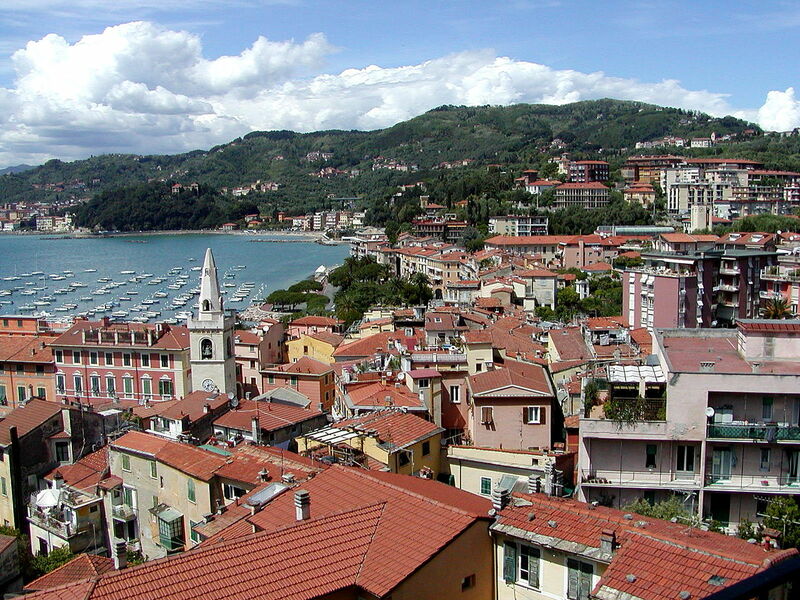 Lerici was used by the Lucchese for their trading of leather and cloth; then it was contended between Genoa and Pisa, two Maritime Republics. 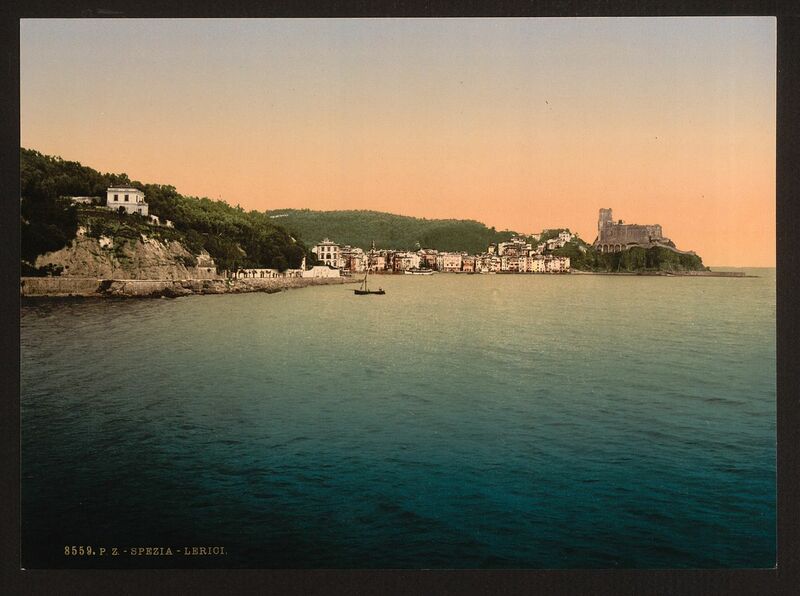 After the Giglio War in 1241, it was invaded by the Pisans and they built the Castle and the new village with town-walls. 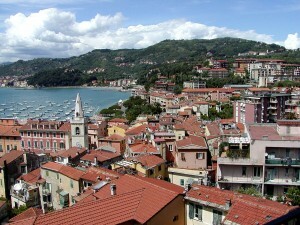 The massive castle dominates the whole village from its rocky promontory and it’s one of the most beautiful in Liguria. It was erected by the Pisans in the 13th century; then it passed under the control of the Genoese, and in 1256 they increased the height of its imposing pentagonal tower, that was surrounded by four levels of hanging arches. It was fortified in the 17th century with strong ramparts. The castle is actually in good fettle, with intact outer walls and an inner well-preserved little chappel of the 13th century in ligurian gothic style, consecrated to Saint Anastasia. Completely restored, it is actually a Geopaleothologic Museum, one of the best in Europe for importance and employed technologies. Another architectonic beauty is Saint Rocco’s Tower: it’s a romanic tower built as a lookout-point but it was changed into a bell-tower during the 16th century. Inside of it, people can admire the genoese armorial bearings, indicating the entrance into the harbour. UAn interesting architectural attraction is surely the Oratory of Saint Rocco, firstly dedicated to Saints Martino and Cristoforo (as testify by a tablet placed on the front of the bell-tower), and consecrated to Saint Rocco in 1523: the 16th century was full of pestilences and he was the Patron of plague-strickens. Finally, people can visit the 13th century Church of Saint Francesco d’Assisi. It was destroyed and rebuilt larger between 1632 and 1636. It’s a one-aisle church. Its altar-pieces are beautiful works of art by the genoese school. There are precious vestments and vessels too, and particularly a rich pluvial, a gift of the Botti’s. Near the church there’s the Oratory of Saint Bernardino da Siena, founded when he was still alive, and after it was rebuilt. On the high altar there’s a wonderful painting by Domenico Fiasella. 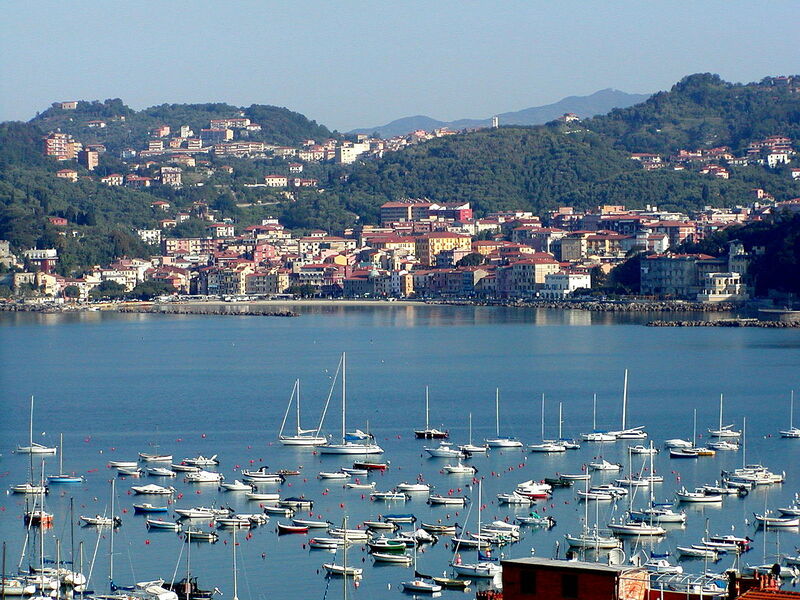 In San Terenzo, not far from the centre of Lerici, there’s another imposing Castle. At first it was only a simple embattled tower as defence against the enemy raids. It was completed in 1400 and, at the end of the 15th century, began to undergo some changes thanks to the evolution of offensive and defensive weapons. Inside of it, it’s actually going to realize a Shelley’s life Museum. In San Terenzo there are two majestic villas. The first one, Villa Magni, was built in the 16th century and soon became a Barnabites’ monastery. In 1822 it became property of the marquis Ollandini and here he gave hospitality to Percy Bysshe Shelley and his wife Mary. The road between the villa and the sea was built in 1888. 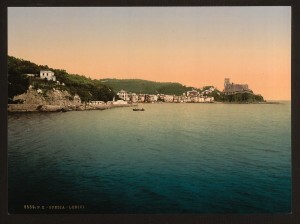 The other one is Villa Marigola, placed on a hill that faces San Terenzo Bay and the Venere Azzurra Beach; in 1888 it became property of the english admiral Sir Reginald Pearce, who bougth it to the florentine marquis Maccaroni. At the beginning of the 20th century the marquis Magni Griffi bought Villa Marigola that is actually a Meeting Centre, where the Town Council often organizes some “master’s meetings” during the summer.